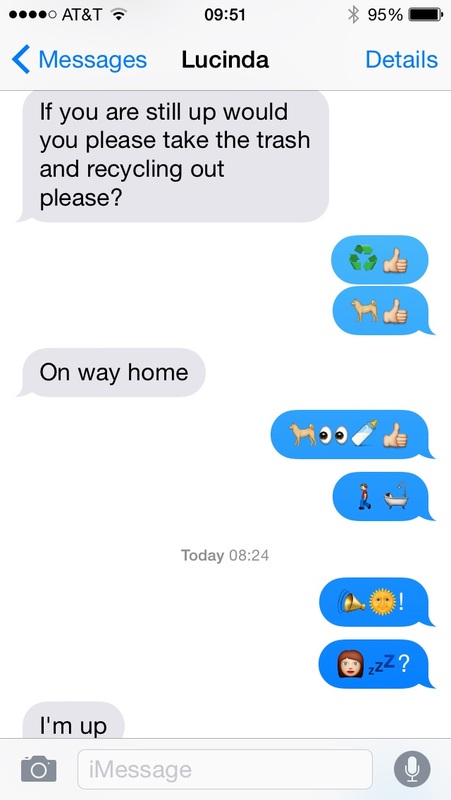 There was a time when I decided to communicate with my wife entirely using emoji. Well, I still spoke to her in person. To understand this exchange you should know that we walk our dogs before bed and one of them receives medicated eye drops. The conversation resumes after I've left for work the following morning.